A jury has found Silk Road founder Ross Ulbricht a.k.a Dread Pirate Roberts guilty on all seven counts and faces Life In Prison for running an underground black market i.e. Silk Road. 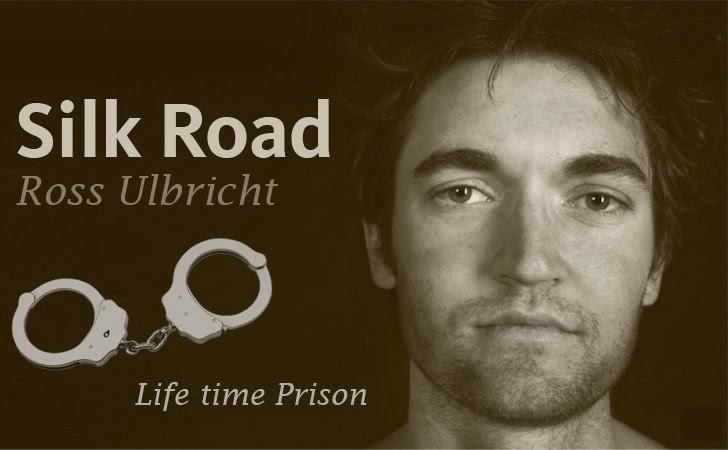 Ross Ulbricht, a San Francisco 30-year-old web developer was arrested by FBI in a sting operation in October 2013 accusing him of being the criminal mastermind running Silk Road, where hundreds of millions of dollars in illegal goods were traded. Ross Ulbricht had claimed that he had built Silk Road, but he was not the site's notorious ringleader "Dread Pirate Roberts." The trial went on for just over three weeks and today the jury of six men and six women charged Ross Ulbricht with seven counts including money laundering, drug trafficking and computer hacking among other things. “The supposed anonymity of the dark web is not a protective shield from arrest and prosecution,” according to Manhattan U.S. Attorney Preet Bharara in a statement after the verdict. Prosecutors claimed Ulbricht ran the $1.2 billion empire from 2011 to 2013, armed only with a laptop and a Wi-Fi connection. Silk Road ran on the anonymous Tor network to maintain its operations, but Federal agents seized Silk Road servers, along with bitcoins worth $3.6 million, and shut down the site. Silk Road was an underground online marketplace where users could buy and sell anything from drugs to hacking tutorials. Payments were made using bitcoin, a digital currency that's difficult to trace. A separate trial in a Baltimore court, on charges including attempted commission of a murder-for-hire, is still ongoing.